This is a rectangular Rolling Ridge Ranch porcelain sign. This particular Rolling Ridge Ranch sign is red and light green with white text. 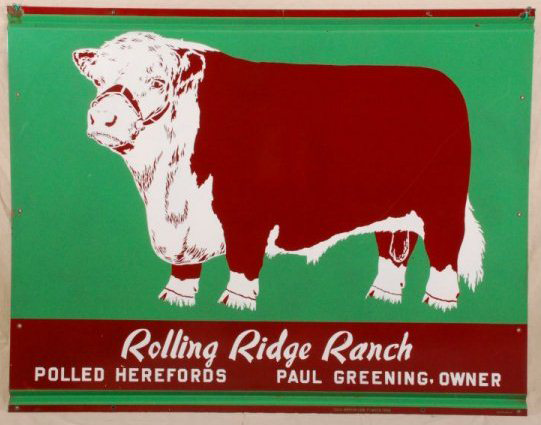 It reads, “Rolling Ridge Ranch, Polled Herefords, Paul Greening, Owner” and features a red and white Polled Hereford in the center.